All Californians can be part of the solution. From landscaping, to firewood, to pet care – there are many ways we can help to control the spread of invasive species. Stop invasives in your tracks by hiking responsibly. Find tips to keep your gear clean. Moving firewood can spread invasive species. Keep your firewood local. Be a responsible pet owner. If you can no longer care for a pet, find it a new home instead of releasing it to the wild. Make the best choices for your garden or landscape project. Find beautiful and hardy alternatives to invasive plants. 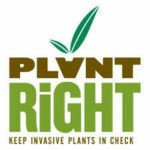 Here are more resources for alternatives to invasive plants, sorted by region. Use it help your next garden or landscape project. There are many ways to get involved. Join the statewide effort and take action against invasive species. Participate in events across the nation to raise awareness and identify solutions to invasive species issues.